One of the SEO Web Design Tips that many companies are catching onto these days is approaching guest blogs and writing guest blog posts to promote their goods and services. This is one of the SEO Web Design Tips that provides great benefits for a company that writes a guest blog post for an industry related Website. Writing a guest blog post offers benefits on both an SEO level, but also a branding level. 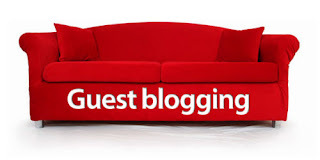 Why Would I write a Guest Blog Post? When you write a guest blog post for another website that isn't run by you or your company, you're literally producing unique content and giving it to another site to post for a return in branding and local search engine optimization rewards. To get the most SEO benefits out of writing a guest blog post, you'll want to craft an article that discusses a topic relevant to your business, and then offer that guest blog post to an industry-relevant Website. So, if your business manufactures portable power module packages for generator sets, you'll want to write a guest blog post for a Blog focused on the power generation industry. 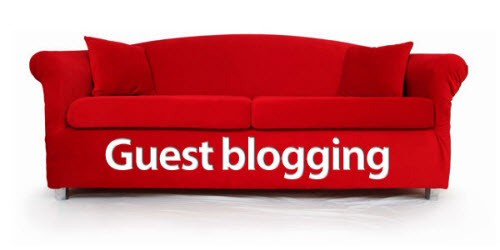 How do I Contribute Guest Blog Posts? It's a pretty simple procedure if you want to contribute guest blog posts. Lots of these Websites are actually looking for people like you who want to provide these guest blog posts. Many of them feature a link on their site that straight up says “Become a Guest Blogger!”. It doesn't get much easier than that. If they don't have an obvious link or page on their site about contributing guest blog posts, find their contact page and drop them a line. Inquire about your wish to provide them with your unique, industry-relevant content. I'm sure you'll be pleasantly surprised by the response. Should you start contributing guest blog posts, you're sure to get valuable backlinks for your Website from the Guest Blog. Acquiring these types of inbound links is a critical cog for increasing search engine rankings and bolstering natural SEO results. Your brand sees increased visibility when you contribute guest blog posts. One of the better perks of writing guest blog posts is getting in and networking with other business owners, marketing people who are running the guest blogs. You never know when or who your next great business deal or sale will come from! Just think about it. Think about the benefits you can get from simply writing a guest blog post for another Website. Now think about what the benefits would be if you could become a guest blogger on several Websites! This SEO strategy of guest blogging is a great tactic for building up search rankings and increasing brand visibility for your company! Tell Congress Not to Censor the Internet!